Flytographer​​ ​is​ ​an​ ​online​ ​marketplace​ ​that​ ​connects​ ​travelers​ ​with​ ​local​ ​photographers​ ​in​ ​200 cities​ ​worldwide​ ​for​ ​fun,​ ​candid​ ​photo​ ​shoots​ ​for​ ​about​ ​an​ ​hour.​ ​Our​ ​community​ ​of​ ​400 carefully-chosen​ ​photographers​ ​not​ ​only​ ​takes​ ​stunning​ ​photos,​ ​but​ ​also​ ​shares​ ​insider​ ​tips​ ​on things​ ​to​ ​eat,​ ​see,​ ​and​ ​do​ ​and​ ​takes​ ​travelers​ ​to​ ​unique​ ​parts​ ​of​ ​the​ ​city​ ​they​ ​may​ ​not​ ​discover otherwise. Flytographer is as easy as 1, 2, 3. First, you’ll select your destination and choose your vacation photographer - Flytographer will use this information to plan your vacation photo shoot. Once you’ve arrived at your destination, you’ll meet up with your Flytographer for your photo shoot. Within 5 days of your shoot, your photos will be emailed to you for downloading, printing, sharing and cherishing. You should be able to remember every single moment from your first trip as a married couple. With Flytographer, you’re not only able to hold onto those memories, but you get high-quality professional photos from your honeymoon. Flytographer coordinates the photo shoot and allows for you to pick your choice of photographer, so you get to treasure your honeymoon memories for a lifetime. Let your Luna Planner know that you’d like to add a Flytographer session to your itinerary. From there, Luna will incorporate your photo session into your itinerary according to which activities you already have planned. Luna and Flytographer allow you to capture your honeymoon memories with ease. Learn more about Flytographer on their site and contact us if you’re interested in adding a Flytographer session to your trip. Captured by Flytographer Božo in Dubrovnikp. 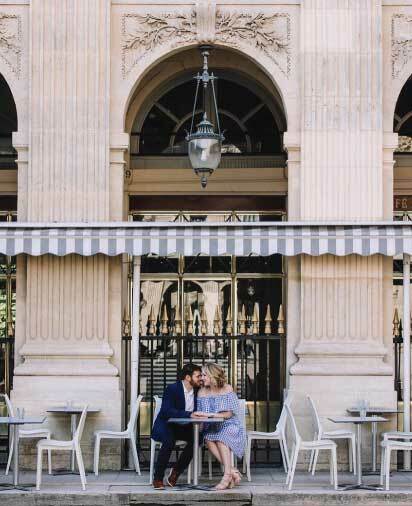 "Booking Flytographer to capture our honeymoon in Rome was the best decision we could have ever made during our time in Italy. Our photographer, Roberta was AMAZING! She even offered to help us around town to make recommendations during our time in her home city." "We planned a three country, seven city, month long honeymoon across Europe. Our favourite city turned out to be the city where had our Flytographer shoot and neither of us expected Dubrovnik to be both of our favourites! Dubrovnik was absolutely enchanting… we kept saying it felt like we walked onto a movie set, that this city couldn’t possibly be real. We’re so happy to have beautiful photos of our favourite honeymoon stop." "It was our first trip to Paris so of course we wanted to be captured with the iconic Eiffel Tower, but our most memorable times in Paris were spent strolling through the picture perfect streets and sitting at cafés drinking coffee and eating cheese and baguette. Flytographer Olga knew just what to do, she had us hop into an Uber with her and directed us to the most charming neighbourhood where she took beautiful photos of a lovely morning stroll and then captured us having our morning café and croissants. She captured exactly how Paris made us feel on our honeymoon!" "Tom and I wanted a relaxing yet adventurous honeymoon. Hawaii was it, starting with Ohau and ending it in Kauai. We enjoyed the beautiful beaches as well as the excursions of the islands to always keep our senses awake. Our Flytographer Chelsea was amazing and great to work with. She took the awkwardness out of posing for pictures by making us laugh and feel comfortable at all times. We already can't wait to come back to Hawaii just to take more photos with her!" "Jude and I recently got married after 8 years together. We vacationed to Playa Mujeres for our honeymoon and booked a session with Flytographer to capture some beach moments. Our photographer, Monica suggested the perfect place for my husband and I to explore and take some memorable photos on Isla Mujeres. Not only did she recommend some great food for us to try, but she also went above and beyond to capture the ultimate pictures. Could not love our photos more!" "Florence was the first stop on our honeymoon, just two days after our wedding! In the ten years we have been together, both John and I have traveled to Europe but never together. Florence proved the be the perfect setting for Newlyweds: outstanding food, welcoming people, the intrigue of historic culture, and romance lingering just beyond every bend. Sneaking out in the wee hours of the morning was such a fun adventure! It was our photographer, Sonya's brilliant idea and we couldn't be happier with the way the shoot turned out. Florence was ours before everyone woke up and the pure joy that radiated out of Sonya while shooting made the experience even more enjoyable. It was MAGIC; a true highlight of our honeymoon!" 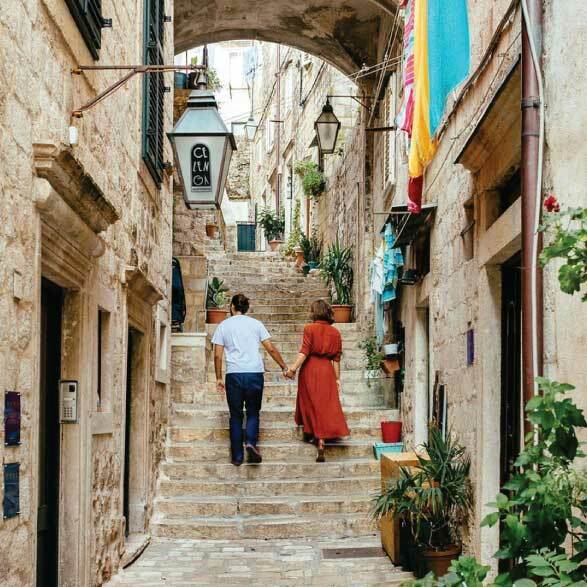 "Going to Europe was something that my Husband & I always talked about while we were dating and so for our honeymoon, we booked a two week trip to explore the Mediterranean. Our first stop was Rome where we had our Flytographer shoot with the amazing Roberta. The shoot was a given to us by one our our best friends. It is amazing to have some photos of the two of us in this beautiful city. I will treasure them forever." "We were inspired to have our maternity photos taken in the ever romantic city of Venice, Italy. We absolutely love exploring all that Venice has to offer. Thank you so incredibly much for memories that will last a lifetime!"